Well if there is one thing children like it's a story rich in imagry and thank goodness that is what Jesus does best. How good is our God that he breaks things down into managable chunks for our understanding? So that we can come with our child like minds and learn great truths and then teach them to the children in our care without having to "dumb it down". For this lesson we just read the story straight from the bible - it is suitable for all ages as the language is so simple. When Jesus called his first disciples he didn't choose the most learned men, the men with the greatest careers, men who had made a name for themselves but he chose simple fishermen. What a great lesson to tell children - Jesus wants you to follow him just as you are. In a world where it's all about being the best, we can teach children that according to Jesus you do not have to become amazing in your own strength - come as you are. Jesus used language that these fisher men would understand. "Follow me and I will make you fishers of men" Matthew 4:19. Jesus wants to talk to us and hear from us and we don't have to use fancy "grown-up" language! Just tell Him what you feel. We reminded the children that Jesus wants us all to tell others about him and like fishermen get big loads of fish Jesus wants loads of people to come to know him. 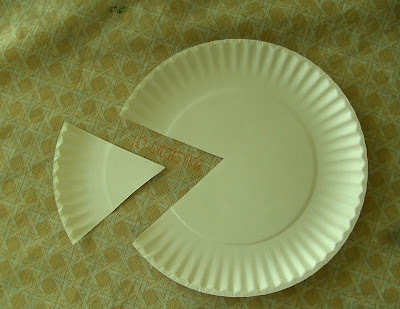 Using paper plates (my favourite craft material-cheap and you can make anything! 50 plates for 2euro in the Euro Store) each child made a fish. Simply cut a triangle out of one side. Glue/staple/tape it to the other side. Stick on a googley eye and decorate with crayons/markers/stickers or even paint. The kids had a blast making these. Pretty great results eh? I made a magnet fishing game by simply cutting out fish shapes from different coloured card and putting a metal paper clip on each one. I scattered them on a big blue rug and had the children fish for them. For the rods we just used sticks and string with a magnet tied on the end (I borrowed the magnet from the kid's Geo-Mags!). The children took turns "fishing" and raced eachother to see who could get the most. You could also get the chidren to each go for a different colour fish to make it harder for older ones. This is a cute fishers of men craft project!